It's another Throwback Thursday! And so we go back to Loren Monares' interview about her life as one of the most active plus size models in the Philippines. In that interview she mentioned, "Being a plus size model is not just about doing photo shoots and fashion shows. It is also about having that responsibility of influencing other plus size women to accept and love themselves." Wise words from one of the Philippines' most hard working plus size model! In addition to that, we are on a look out for The Next Erzullie Icon 2013 (#TNEI2013). Deadline is on September 30, 2013 so if you want to get your chance, submit your application today! We are very happy to know that you girls love our shopping tips with regards to this topic. And as such, here are 3 more ways on how to shop in a regular size store as a plus size girl. #1 Not all size sets are equal. Alas, ladies! The truth is out! A size set of one retail shop is different from another. Even weirder, if their manufacturers are different, the sizes of each design inside that store may come out as different too! 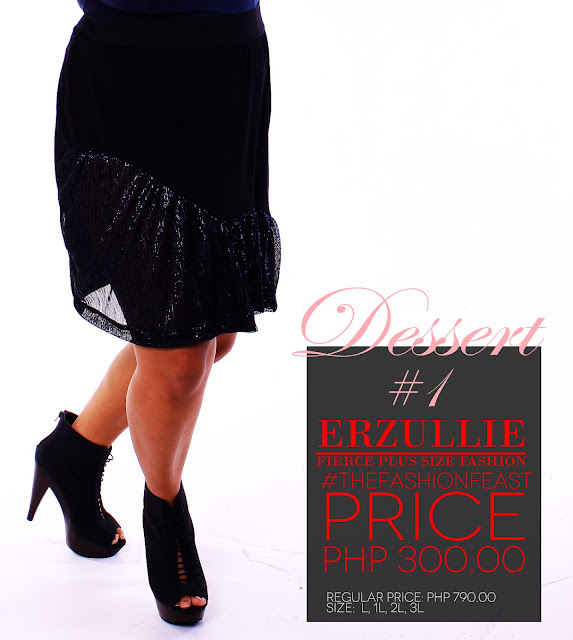 And so, there will be chances that you, as a plus size girl, may fit in their sizes. So go ahead and start asking for their biggest size first and go down from there. A great saleslady --- the one who is really committed to serving the customer through the brand they are representing --- can actually help you. Ask them to recommend any product that can fit both your body and style. If she is a great one, she must at least know everything that is inside that store and find something that can cater to you or give you an honest opinion that she cannot recommend anything that she thinks can delight you. They do exist for a reason and has stayed on for a long time because they do provide information. Check out their Outfit Of The Day posts (OOTD) and if you find a style that you like, ask them directly on where they bought it (if it is still not yet mentioned).